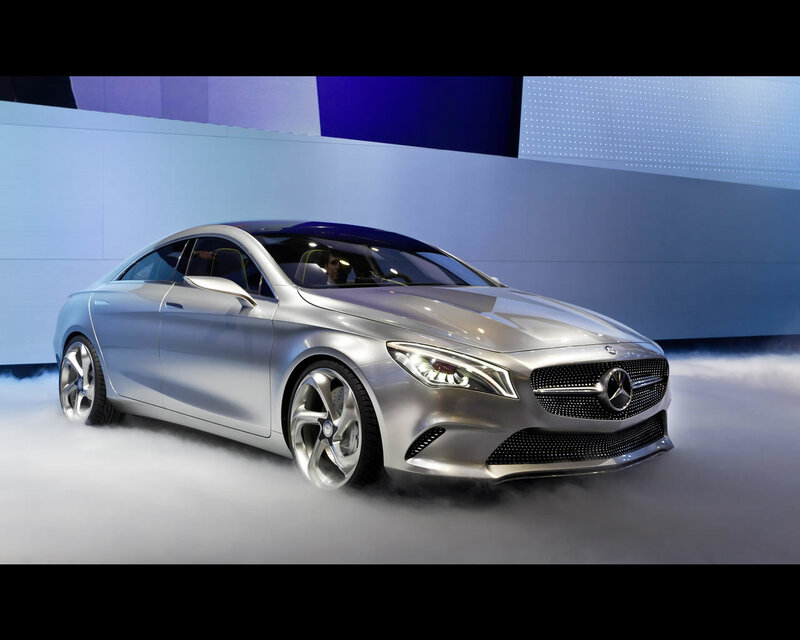 The four-door Mercedes Concept Style Coupé is a style rebel – non-conformist, provocative, masculine. 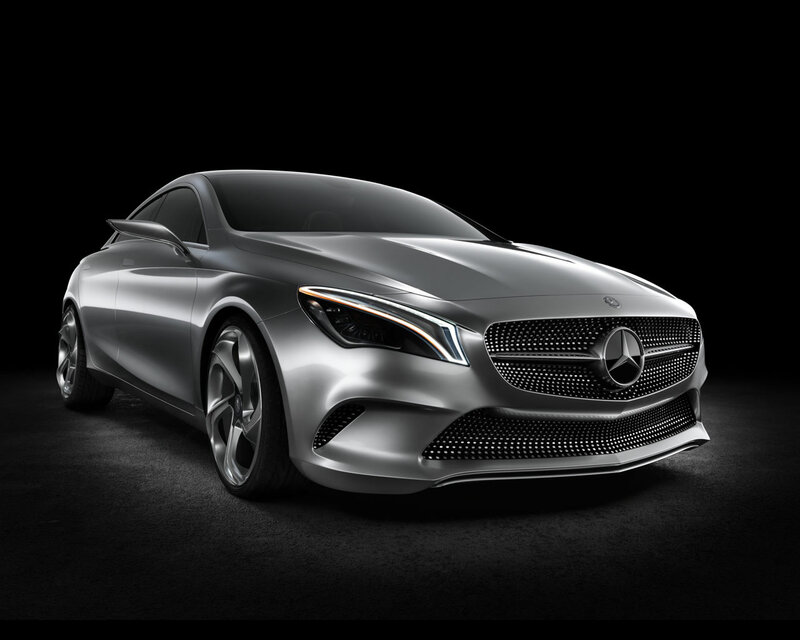 “The design is expressive and powerful,” says Dr. Dieter Zetsche, CEO of Daimler AG and Head of Mercedes-Benz Cars. “It makes a very clear statement. 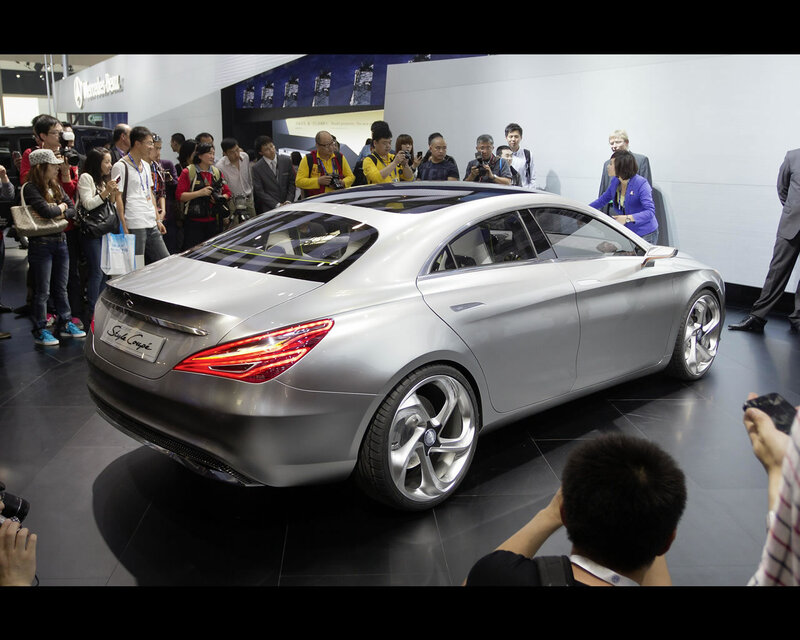 This is the car against which sporty mid-size vehicles will be measured in future.” In keeping with its dynamic look, the Coupé study offers a host of technical highlights, including the new four-cylinder turbo petrol engine with 155 kW (211 hp), 4MATIC all-wheel drive and the 7G-DCT dual-clutch automatic transmission. Among the highlights of the four-cylinder engine are its direct-injection system with exhaust gas turbocharging, an enhanced combustion system and extended stratification ranges for lean-burn operation using fast-acting injectors for the multiple fuel injections, and multi-spark ignition according to need. The innovative headlamps of the Concept Style Coupé are reminiscent of the ever wary, almost intimidating eyes of a predatory animal. In standby mode they shine red. Another special feature are the indicators: individual points of light light up in succession, rather like a piano keyboard. Three prominent lines give structure to the vehicle when viewed from the side: the front structural edge over the wings flows towards the rear end in a characteristic dropping line. Another, more sinewy line spans the shoulder muscle above the rear axle, while the third line extends upward in a sweeping curve from the front wheel towards the rear. Together, these lines lend more depth and dynamism to the side profile. 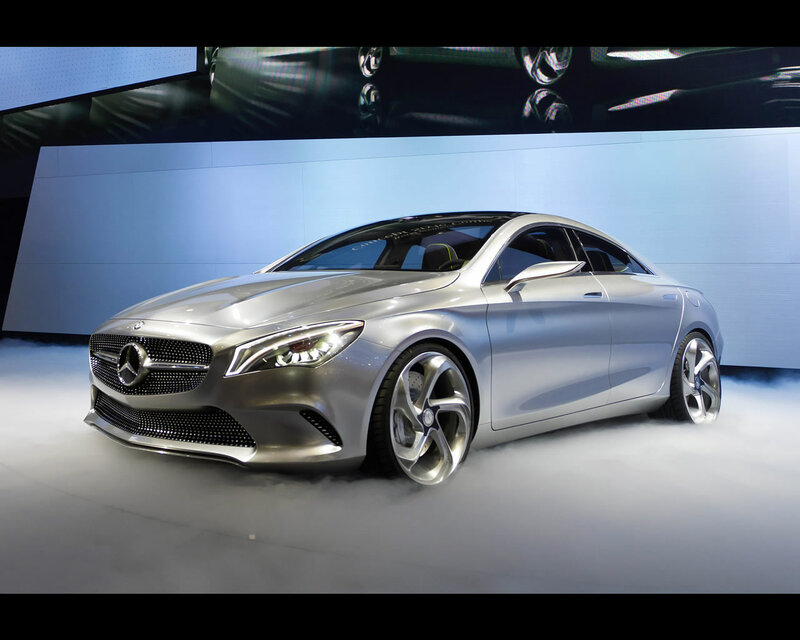 The ripple design of the prominent exterior mirrors takes advantage of the design freedoms enjoyed by a concept car. Inside the Concept Style Coupé, a new quality benchmark is set by fine materials together with outstanding craftsmanship. The dashboard upholstered in white nubuck leather offers a rich contrast to the anthracite Alcantara® on the upper surface of the dashboard. On the sports steering wheel, suede delivers exceptional grip, while all chrome trim pieces and controls have been anodised in black for the first time. The surfaces around the HMI operating unit shimmer in gleaming black anodized aluminium. The four integral seats with integrated head restraints come from the sport version of the new A-Class. While travelling, passengers can be “always on”. This is made possible by COMAND Online together with Mercedes-Benz applications developed especially for use and operation while driving. Internet surfing is also freely available when the vehicle is at a standstill. 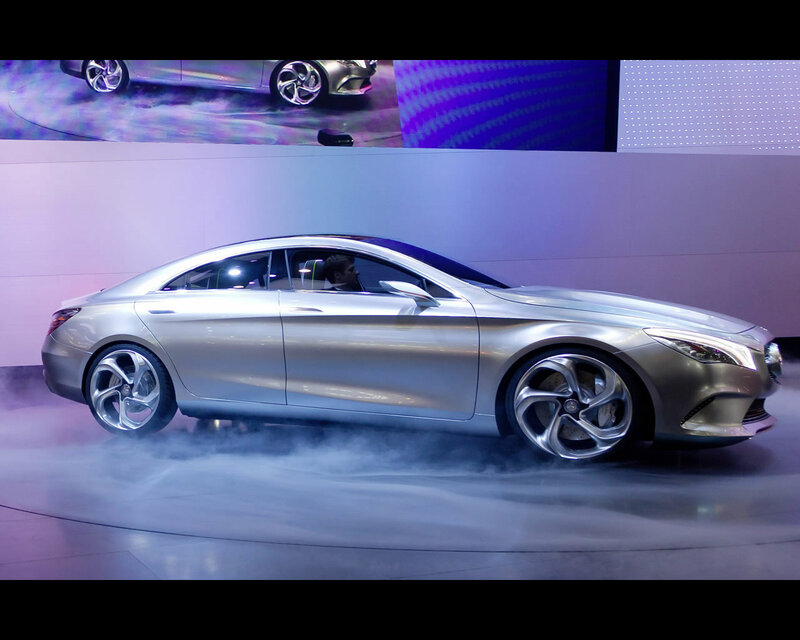 Mercedes-Benz is firmly convinced that the future lies with cloud computing. The software for the COMAND Online applications is not stored in the vehicle, but runs off the Daimler Vehicle Backend. The advantage is that the system can be updated with new applications "over-the-air" (OTA) through a mobile phone connection, without needing to take the car into the workshop. The software is thus always up to date, irrespective of the development cycles of either the vehicles or the consumer electronic devices.